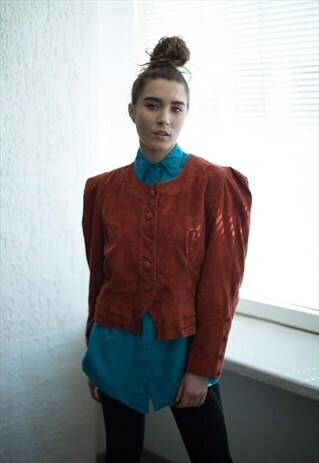 Fantastic vintage 80's red/brown suede buttons up jacket with lining inside. UK size not written but look flexible like 10-14. Model size on the photo is 8. Measurements: length 20.5 inches, sleeve 22.5 inches, chest 40 inches, waist 38 inches.